Since opening in 1912, the restored Hotel Maria Cristina has been closely linked to the history and cultural life of San Sebastian. 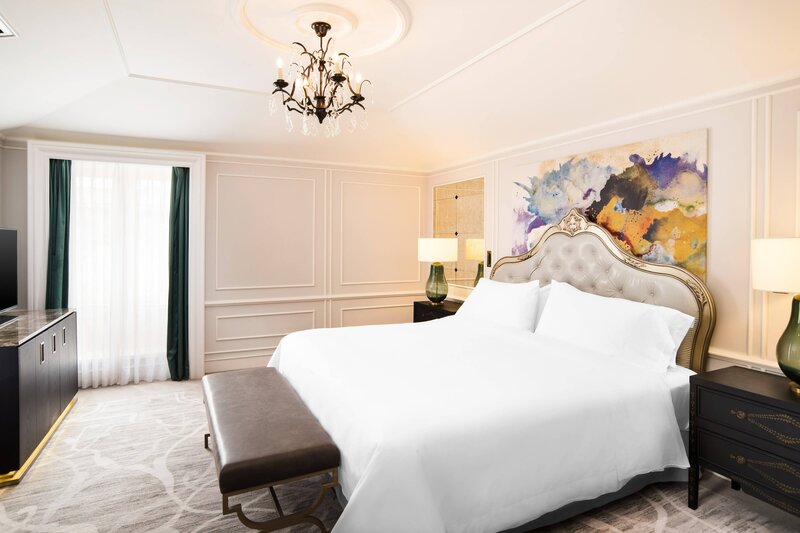 Experience gracious hospitality on a grand scale in the hotel’s rooms and suites. Decorated in a sophisticated palette of greys and white, the rooms are a quiet haven of luxury, style, technology and a dazzling range of services which, combined, make for an unforgettable stay. 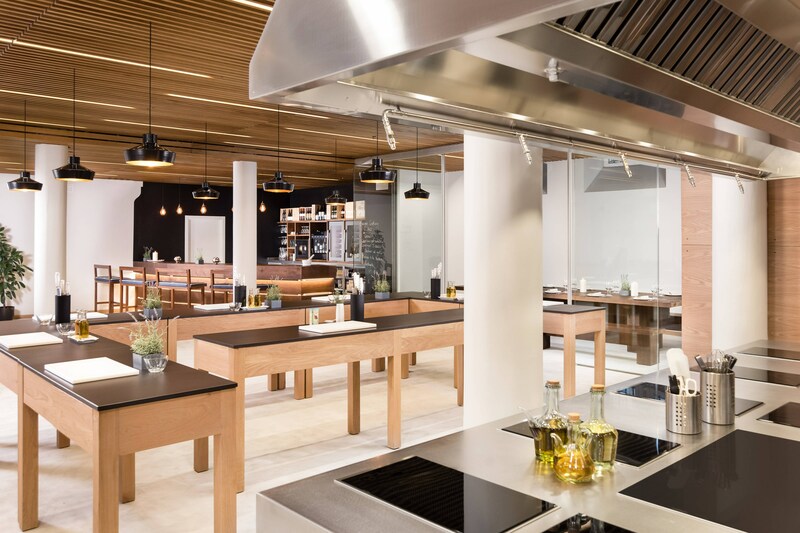 Discover Dry Bar, a sophisticated space where you can enjoy afternoon tea, classic and signature cocktails, and a wide variety of traditional Spanish tapas or main courses. Since it opened in 1912 the 136-room Hotel Maria Cristina has been intimately linked to the history and cultural life of San Sebastian. In the late 19th century the seaside town on the southern point of the Bay of Biscay became a favorite destination for royalty and aristocrats who came to enjoy the sunshine and newly recognized therapeutic properties of sea bathing. A traditional afternoon stroll along the boardwalk offered an opportunity to see and be seen while the many cafés and open-air terraces were filled with high society. 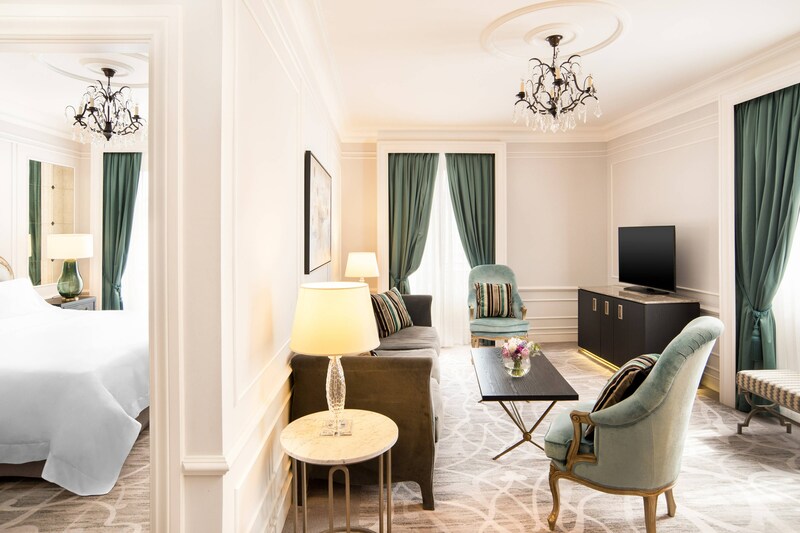 The 28 luxury suites at the exclusive Hotel Maria Cristina, are designed in a Belle Époque architecture which provides guests with maximum comfort. 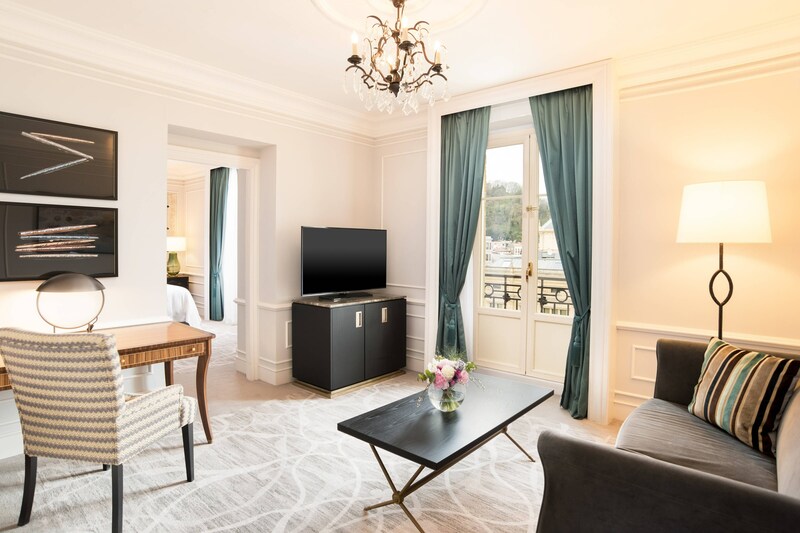 The suites’ contemporary decoration, with marble fireplaces, glass lamps and velvet turquoise arm chairs, come together with shades of grey, beige and green to give the rooms an exquisite elegance. Dry Bar pays homage to the days of glamour and its frequent Hollywood guests, such as Bette Davis, whose portrait sits at the center of the Bar. Located just a few meters away from the iconic Playa de la Concha, Dry Bar is a sophisticated space where you can enjoy afternoon tea, classic and signature cocktails, and a wide variety of traditional Spanish tapas or main courses. 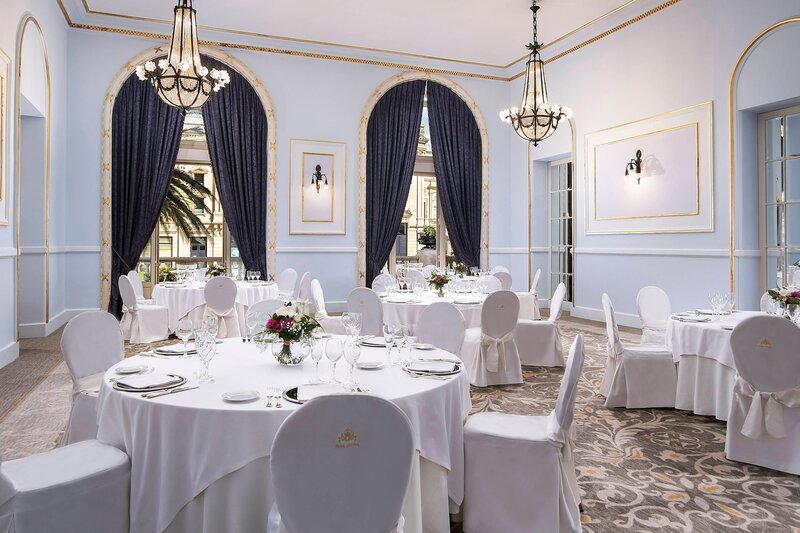 A special occasion deserves as special a place as the hotel Maria Cristina San Sebastian. 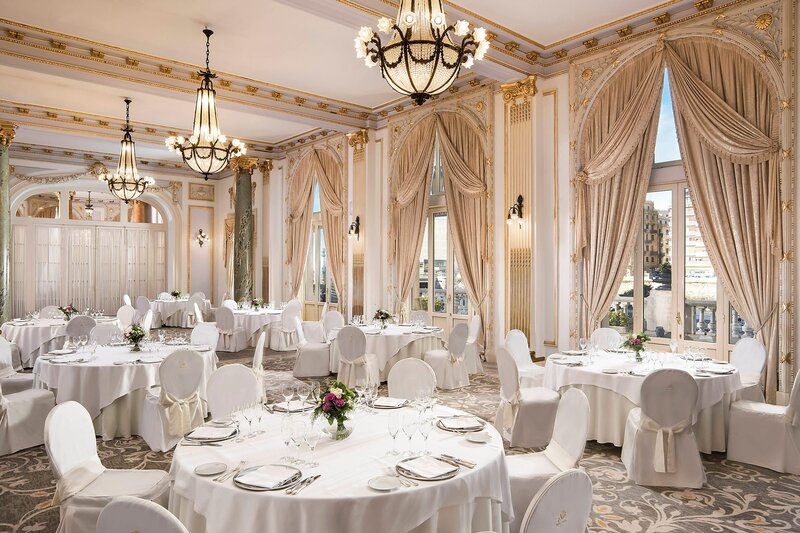 Luxury Collection service and the exclusive care of every last detail make the Hotel Maria Cristina the perfect choice to enjoy a unique experience, exceeding your expectations and those of your guests. Its spacious and elegant banqueting rooms with magnificent views from their terraces, its renowned cuisine, the attentive customer service and a tempting selection of menus are details that both the bride, groom and family members will appreciate as exclusive. 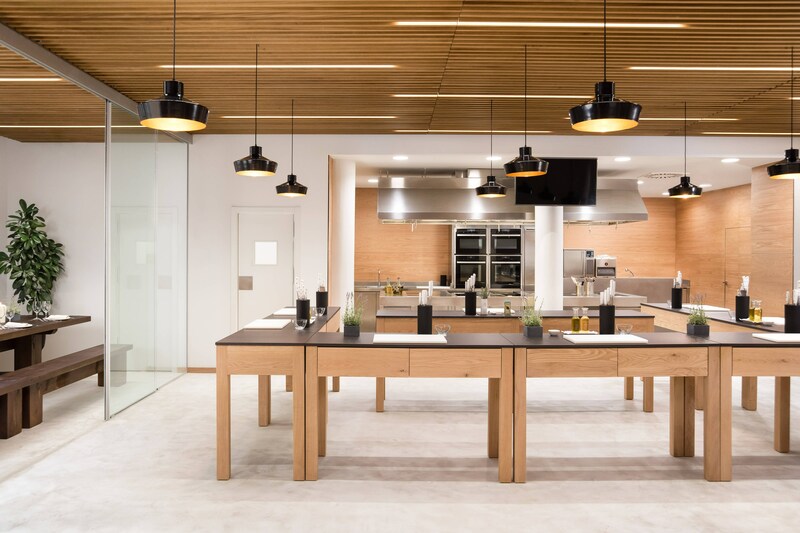 Enjoy a variety of distinct cooking classes at the new 500 square meter cooking school, including a private bodega. 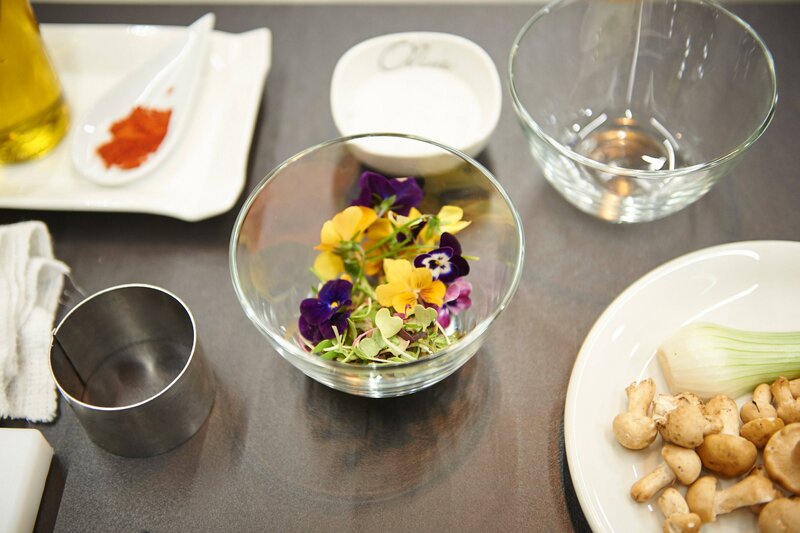 Culinary Master class from mastering the art of Iberian Ham Carving to the finesse of creating authentic basque pintxos to understand the science behind matchless wine pairing. The majestic architecture of historic cupolas and the charm of the Belle Époque infuse our landmark hotel with early 20th Century allure.